Get prescription drugs, health information, and medical care from a local pharmacy that you know and trust. Our experienced pharmacists are always available to help you. Browse our complete vitamins and supplements lines and over the counter medications for all your health needs. Detachable and portable multi-dose packaging system that makes it easy to take your medications. Each blister pack contains your prescribed medication for a specific time (morning, noon, evening, bedtime) and date. We carry wide variety of medical equipment and orthotic braces. We provide wheelchairs, walkers, crutches, canes, commodes, shower benches, and variety of products to aid your daily living. You can benefit from JOBST® compression hosiery whether you suffer from tired aching legs because you spend too much time standing or sitting, or suffer from more serious problems like swelling and venous disease. 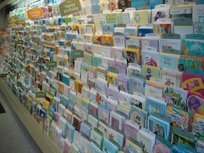 We have an extensive collection of greeting cards. Weather its for a birthday, wedding, anniversary, graduation, holidays, or get well soon wishes, we have it all at Naugatuck Pharmacy. Our pharmacist can help you manage your medications. We provide automatic refills on your maintenance medications and delivery. We accept most major insurance plans, regardless of the logo on the card. We accept Medicaid and all Medicare Part-D plans. 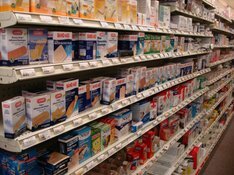 We accept Medicare assignments for diabetic supplies to keep all of your prescriptions at one pharmacy. We offer very competitive prices on drugs for customers with no insurance. Please call us to compare prices. We care beyond prescriptions. We take genuine interest in knowing you and your family to provide you the best service possible.